The Mansion of Death is a holiday event that really stuck in the minds of those that completed it back in 2007, with a great number of players listing it as one of their favourite holiday events ever. After discovering a near-complete version of the event hidden away somewhere, we thought that it would be an excellent opportunity to re-live one of the most memorable and loved parts of RuneScape history. As voted for by the community, the Mansion of Death has made it's return. 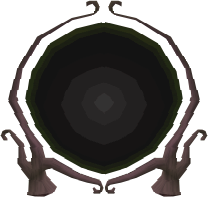 You can find the entrance to the Mansion of Death alongside the elemental wizards south of Falador. When you arrive at Death's house you can talk to him to receive your tasks. All players have access to the portal and the event, both members and F2P. On your way around Death's mansion you will notice that it can be fairly... Deadly. Be sure to follow the instructions he gives you word-for-word, otherwise you may find yourself meeting an untimely demise. Of course, as is the case with every holiday event we hold, you'll be able to get yourself some goodies at the end. Death is surprisingly generous and will sort you out with your fair share of Halloween rewards. Everyone that completes the event will receive two of each Halloween mask and two pumpkins. Also, if you were not able to take part in last year's Halloween event you will receive the full skeleton set, a scythe, a black Halloween mask, a zombie head and the 'Scared' emote. This year's event will also reward you with the grim reaper hood, the zombie hand emote as well as the ability to get green skin from the makeover mage. Ever since the release of the first rares into Old School it has been incredibly clear just how much the community enjoys the sorts of livestreams where we give them out in interesting ways. Over the course of Halloween we will be hosting a number of events in-game, most of which will be livestreamed, where we give away lots of Halloween rares in some fun and chaotic ways. 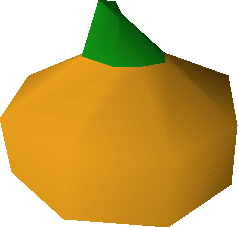 Keep an eye out on YouTube, Twitch.tv and reddit to catch some events where you can snag yourself some extra pumpkins. Tweaked the models of the Ironman & Ultimate Ironman platebodies. Adjusted the Corp lair layout slightly. Disabled random events in the Corp lair. You can no longer take pets in to the Corp lair.